Father has passed away. Mother was immoral and this forced father to leave. He lived in Kampala prior to his death. Later mother began to mistreat Robert and he became frustrated with suffering from no food and study, and was given hard work like carrying water the whole day. He was also an unwell boy, contracting malaria and was given quinine resulting in the gradual loss of his hearing from the age of eight (a common side effect of quinine). Robert was taken to live with his grandparents but they could not afford school fees either, but life there also showed elements of hatred. This forced Robert to ask a friend for help. 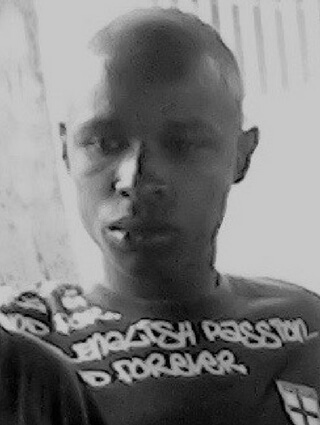 He connected Robert to Nakivubo Street in Kampala –where he began his street life. While on the street Robert had peer groups, who taught him to pick pocket small items like handbags & money. After some time I met a man Christopher who ran a small charity in the slum (Kids In Need –KIN) helping street boys go to school. They cared for me while in P3 & P4 (age approx. 14 or 15). In 2008 Jo began helping SHALOM (ex KIN) and it is in 2010 when Jo visited Shalom and really took responsibility for me, that my life got better. We found Robert partially deaf around the age of 17 and organised for some humble hearing tests. This showed there may be a small chance of hearing with hearing aids. We took donated hearing aids, but they didn’t work. We then did some more tests and learnt the only way Robert could hear would be through a Cochlear implant. With this news, we were really disheartened. Myself, Vanessa and Roberts ‘brothers’ (Our Boys -close friends from the street) saw Roberts hope of hearing fade into the past. Any form of disability can be misinterpreted as witchcraft or curse. This sounds crazy to us but when you have no history of education in a society, then that is all they know and this thinking becomes understandable. Around 2012 we learnt that not all our funds were reaching the boys needs (thankfully the money used was our personal donations). This would prove to be a common occurrence and we were to learn some big lessons on raw survival in a developing nation. 2012 we moved the boys (16 in total) to an orphanage set up, where Robert and his 3 ‘brothers’ (Our Boys -close friends from the street) completed their primary schooling. 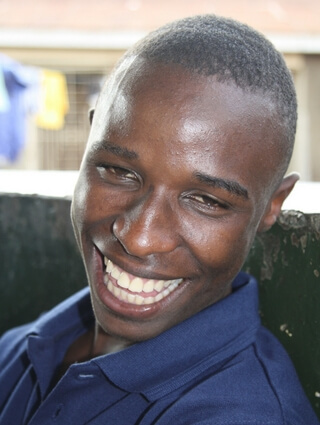 2013 Robert attended Senior Boarding school but his lack of hearing was now a real concern. He was not able to understand many lessons and began feeling ‘less than’. This was becoming reflected in his behaviour where most of the time he lived with extreme frustration. 2014 Around this time we also learnt that the orphanage was not run appropriately and much of the funds were being solicited for other things. So, this is when we took matters into our own hands and began ChanCes Charity. We now check, double check and spot check to ensure we are not cheated. This has become even more important as it is not only our money but very generous donors who do not hesitate to support us. We now had full responsibility of our 16 children and proceeded to find schools and homes for them. For Robert, we found a deaf school that would concentrate on labour skills combined with theory, whilst following a curriculum based on the MoE (Ministry of Education) guidelines. 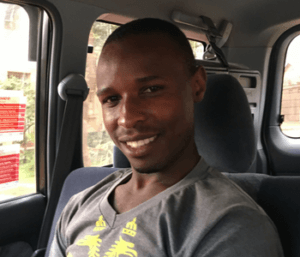 The first year was tough, since Robert had not accepted his circumstances of deafness and coming from a Street Boy background meant he always had that lifestyle in the back of his mind to fall back on. Robert was resisting the confinements and strict rules of the deaf school, so mentoring him into accepting this new situation became critical. By mid 2015 Robert had become the Head of Dormitory, and was considered a leader by his peers. We could never have envisioned such success as Robert had been a quiet, yet loving boy. His sign language skills had developed and he now had a confidence I hadn’t seen before. It was heart-warming. 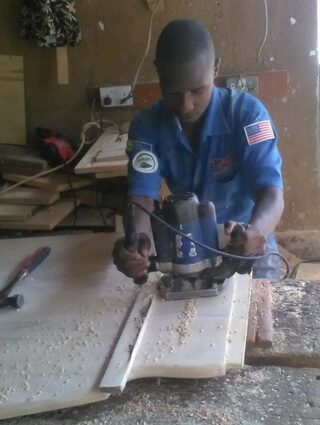 Robert had chosen to try his hand at carpentry and in 2016 he graduated. This year Robert has been trying his hand firstly as an apprentice, however it was a very competitive market and only those very skilled sold anything. With continued mentoring Robert has chosen to return to the Deaf School, where they have a program to support ex-students by offering them a place of work and some tools. We are hoping to continue support of this promising school -Ugandan Society for the Deaf. HOPE, would have to be what we have proved to Robert. We gave him a chance and he took it. What more could we ask for? Robert has accepted his deafness, and risen in adversity to be the young man his is today –independent, successful and confident. A young man we are so proud of. Often Robert is left behind, even by us because it’s not easy to have a group of students and then to single out individuals on a regular basis. Robert has had to learn mainly from watching but he has done just that and has trusted us in the process. On arrival, back to Australia I will reflect on different individuals and that is when I realise I have forgotten to give Robert the whole story of the choices we make. It is then that we communicate in writing and Robert is informed. We are still mentoring Robert, as we do our own children, but only when Robert asks for the reassurance.